Allergic to Bull: Is Cliven Bundy Right? it must be admitted that legally, Bundy doesn’t have a leg to stand on. The Bureau of Land Management has been charging him grazing fees since the early 1990s, which he has refused to pay. Further, BLM has issued orders limiting the area on which Bundy’s cows can graze and the number that can graze, and Bundy has ignored those directives. As a result, BLM has sued Bundy twice in federal court, and won both cases. In the second, more recent action, Bundy’s defense is that the federal government doesn’t own the land in question and therefore has no authority to regulate grazing. 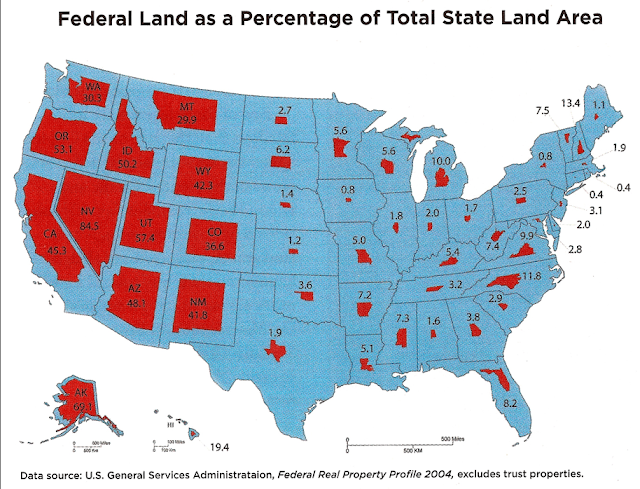 That simply isn’t right; the land, like most of Nevada, is federally owned. Bundy is representing himself, of necessity: no lawyer could make that argument. And certainly my first reaction was, yes, the Federal Government has a right to own land and if they do, they have a right to grant whatever rights they feel like on that land. They can tell Bundy and his cattle to pound sand and so on. AG: We just witnessed the standoff between the Bureau of Land Management (BLM) and the Bundy supporters with the BLM retreating. Regardless of what we all witnessed, do you believe Bundy has an uphill legal battle against the United States Government? Guy Maisnik: Unfortunately I do, particularly in the Ninth Circuit. This case will need to get to the Supreme Court for Cliven Bundy to achieve judicial relief, and it will be a challenge getting there. However, I would encourage those who care about freedom to understand the critical importance of Mr. Bundy’s plight and how it impacts every American and America’s future. Because this case is complex and does not have the emotional appeal of a civil liberties case or a criminal case, it may not get long-term attention. But it’s one of the single most important cases impacting Americans today. This case hits America’s heart and the basic underpinnings of a free society. AG: You’ve heard Bundy and his supporters repeatedly claim that the federal government had no right to remove his cattle or impose fees and that the federal government has no right to that land. Is there any validity to this claim? GM: The United States District Court of Nevada disagreed with Bundy, and so will the 9th Circuit. The linchpin of the U.S. Government’s case is United States v. Gardner, 107 F.3d 1314 (9th Cir. 1997), where the federal government prevailed on facts similar to Bundy’s. In Gardner, the US Forest Service issued a ten-year permit allowing the Gardners to graze their cattle in the Humboldt National Forest. Because of a fire that burned over 2000 acres of land, the Forest Service and Nevada Department of Wildlife closed off the land to grazing for two years. Nevertheless, after a short period of time, the Gardners ignored the closure and resumed grazing. The Forest Service revoked the Gardner’s permit. The Gardners argued that the federal government was not the land owner, and that the land belonged to the state of Nevada. The federal district court disagreed, and the 9th Circuit court affirmed the district court’s holding. AG: What were the key arguments made by Bundy and the Gardners? GM: Bundy’s and Gardners’ arguments were similar, and they both lost. The courts ruled: 1) that the federal government was authorized to retain public lands for its own purposes, and was not required to hold land for the establishment of future states; 2) that the Equal Footing Doctrine did not operate to give the state title to the public lands within its boundaries; and 3) that federal ownership of public lands did not encroach upon the core powers reserved for the states under the Tenth Amendment to the Constitution. There were other arguments and discussions, but these were central. So their view is this: yes, they did that with Alabama (carved out of land ceded by Georgia and Virginia), but that was pursuant to the agreement ceding the land. It was the terms of their contract. By comparison, the land in Nevada was obtained by getting the land from Mexico, so tough on them. We, therefore, think the United States hold the public lands within the new states by force of the deeds of cession, and the statutes connected with them, and not by any municipal sovereignty which it may be supposed they possess, or have reserved by compact with the new states, for that particular purpose. The provision of the Constitution above referred to shows that no such power can be exercised by the United States within a state. Such a power is not only repugnant to the Constitution, but it is inconsistent with the spirit and intention of the deeds of cession. Which is admittedly dense language, but the key thing is that the public lands in what became Alabama reverted to the ownership of Alabama, and that doing anything different was not only in violation of the deed of cession from Virginia and Georgia, but “repugnant to the Constitution.” In other words, unconstitutional. So it was not merely a matter of the cessation agreement. It was a matter of constitutional law. This is part of the Supreme Court’s doctrine of equal footing. That is, there is no pecking order, no hierarchy among the states. From the very first thirteen states, to Hawaii and Alaska, each and every state is on equal footing with each other (in terms of legal rights, sovereignty, etc.) This is true even if the breach of sovereign power is built into the law enabling the creation of the state, and even if the state itself accepts this limitation. The rights of the new sovereign states are inalienable. And it applied in the converse as well. When Texas was admitted into the union, the prior sovereign was the Republic of Texas. And as an independent republic, Texas claimed some rights that no other state claimed and claimed that they continued to hold those rights even after joining the union. However, in U.S. v. Texas, the Supreme Court struck down those claims, stating that to grant Texas greater sovereign powers would violate the requirements of equal footing. So, breaking news, the Ninth Circuit has got it wrong. ...so that 69.1% of Alaska might add up to more actual land than Nevada’s 84.5. But as a percentage of land, Nevada is the worst. Why bother to make it a state if feds keep so much of it? And let’s not forget that with ownership often comes federal criminal law. And some of that can’t be helped and is indeed fully justified. As I understand it, there are more Indian Reservations out that way, so more of the land in the West is likely to be something the Feds can’t turn over to the state without breaking our commitments to the natives. But I don’t see any of that in the Cliven Bundy situation. The feds have the land... because they want to. So if left unchecked, the endless acquisition or reservation of land can eventually swallow the states whole, pushing aside the sovereignty of the states in favor of the federal government. Whether you value state sovereignty or not, it is not what the founders wanted. And it’s not to say that the Federal Government can’t own land. Obviously they can, and they can even take it from the owner—be it a sovereign state or a private owner—if needed. So, for instance, if there is a hill over a harbor that is a particularly good place for a fort, then the U.S, military can just take the land from whomever owns it (subject to just compensation and all that). And the government can acquire and keep land for other purposes, too. I don’t know if my local post office owns the land it sits on or rents it, but I see no constitutional obstacle to owning it. But the power to own land is not a power in and of itself, but rather a power implicit to the extent that it is necessary and proper to put other powers into effect. So the power of the military to protect this country and the power of the post office to do what it does justifies it. But it can’t be “we are owning this land just because.” That isn’t good enough. And yet I don’t hear any other explanation of why they own that land that Bundy wants to graze his cattle on. At the very least it should be the public land of Nevada, and Bundy can deal with them, instead. So Bundy is not a hero and not a moral paragon. But he is right and I would have no qualms defending him in court. But I’d also tell him to stop talking to the press about things other than his argument with the BLM. I read that in the late 1800s, the federal government told people if they moved to Nevada, they could graze cattle on federal land for free. The Bundy family moved to Nevada and grazed cattle on federal land without paying a fee. Is the federal government allowed to unilaterally rescind this contract without just compensation? That being said, I think Bundy got caught in the trap that any other American would. He's got these cameras in his face all the time and he just can't keep his mouth shut. He is using this opportunity to wax philosophical. How many of the rest of us would do the same in a like situation? Look up "vested grazing/water rights"
"69.1% of Alaska might add up to more actual land than Nevada’s 84.5." It definitely does. Alaska is more than twice the size of Texas, the second-largest state. So even half of Alaska (or less than that) would be larger than 100% of any other state.